Did he make this list? In the last few years, there has been a rapid rise in the number of 300+ totals scored in ODI cricket. In order to cope with the changes in demands of ODI cricket, the batsmen have incorporated various strategies to score quickly. The unconventional shots like the reverse sweep, scoop over the wicketkeeper are used by the batsmen these days to unsettle the bowler's length and score heftily. The modern day pitches also assist batsmen to score freely as they offer true bounce throughout the 50 overs. So let's take a look at the most destructive batsmen of this generation. Note - The players who scored more than 2000 runs have been considered while preparing this slideshow. 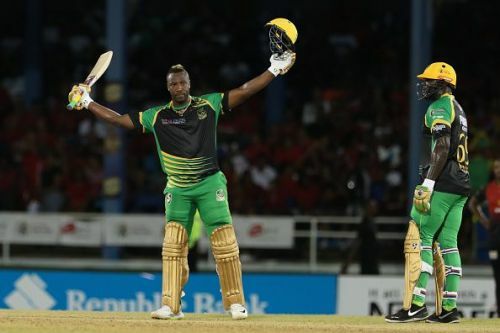 A player like Andre Russell, who has a strike-rate of 130.45 is not included in this list as he scored only 998 ODI runs till date. David Miller has the fourth best strike-rate among his contemporaries. 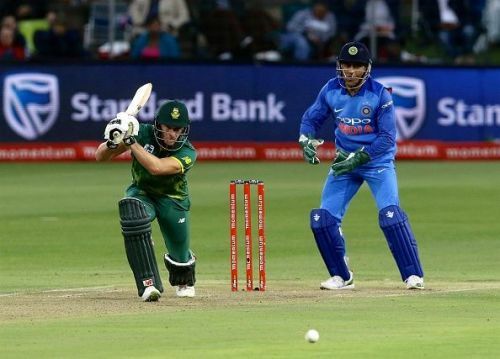 The hard-hitting South African batsman has always been criticised for being inconsistent but the selectors continue to select him based on his match-winning capabilities. He showed glimpses of his potential by scoring a blazing century 101* off just 38 balls while helping Kings XI Punjab team to chase down a target of 190 runs during the 2013 edition of IPL. This bought him into the limelight for the first time. But, ever since then he failed to replicate the same kind of form either for his nation nor for his Franchise team. He finally got into the groove last year when he improved on his previous performance (2013 IPL century) and scored a record-breaking 35-ball century in a T20I against the Bangladesh team. He jointly holds the record for the fastest T20 International Hundred along with the talismanic Rohit Sharma. He has since become an important member of South Africa's ODI line-up. The team management expects him to play the role of enforcer in the limited overs cricket. He has an overall strike-rate of 101.29 which backs his big hitting credentials.